Attention Parents: Please note the changes for the “NEW Immunization Law Requirements” for all students K-12 enrolled in school for school year 2017-2018. Student’s must meet the new regulations by the First Day of School in August of 2017 or will risk exclusion from school after 5 days if not up to date on immunizations or, if no “Medical Certification Catch -Up Documentation” is signed by their doctor and presented to the school nurse prior to the start of school in August. After consulting with your doctor regarding the new changes, parents are asked to return updated immunizations to the school nurse by “May 1, 2017”. 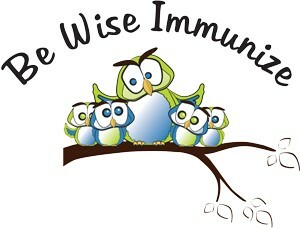 Immunization updates may be faxed to the High School Nurse at 239-0340 or the Elementary Nurse at 239-0377. Please see more important information by clicking here. Letter from the Secretaries of Health and Education on the importance of immunizations. A Spanish version is also available. 2. Summer Immunization Clinics- The Department of Health is offering back-to-school immunization clinics, including some evening and Saturday hours. These clinics are by appointment only and start next week. Call 1-877-PA-HEALTH for clinic dates and locations. Please follow-up as the immunizations requirements are in the process of changing for the 2016-2017 school year.